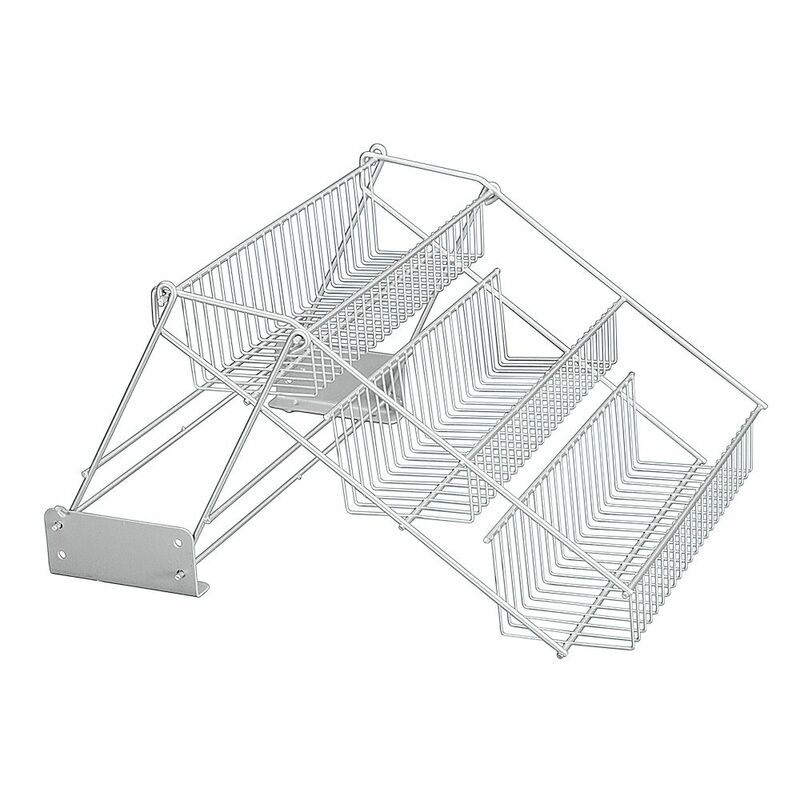 Metaltex offers a wide assortment of kitchen organizers. In the kitchen Metaltex organizers are the best multipurpose organizers that ease the carrying of the many things that you always need on hand. Products coated in Polytherm <sup></sup> : the exclusive Metaltex anti-rust and dust coating. Made in Italy with hard-wearing materials to stand the test of time. Knape & Vogt's center mount pantry basket with wood base works with any Knape & Vogt center mount pantry frame. It allows for neat and clean storage of household goods. The unit features durable wood and wire construction. Polythem - Up & Down Spice and Can Holder 33 X 28 X 21 CM Metaltex offers a wide assortment of kitchen organizers. In the kitchen Metaltex organizers are the best multipurpose organizers that ease the carrying of the many things that you always need on hand. Products coated in Polytherm <sup></sup> : the exclusive Metaltex anti-rust and dust coating. Made in Italy with hard-wearing materials to stand the test of time.